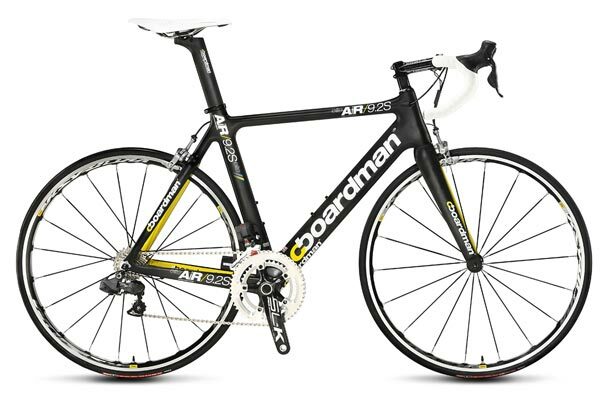 Boardman Bikes has announced details of four new models for 2013 that use Shimano Di2 electric groupsets. Two models apiece are added to the top-end carbon fibre SLR and AiR ranges. All models have been designed with electric gears in mind, and feature internal cable routing and integral battery mounting points. 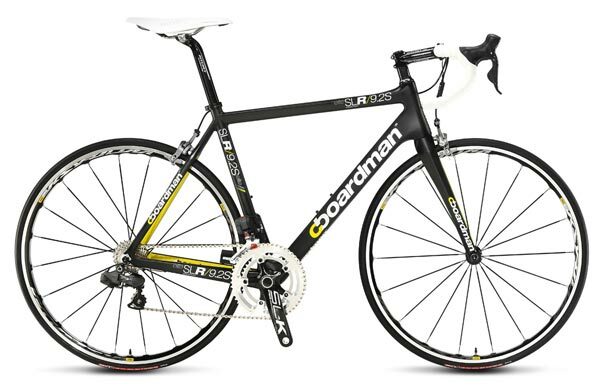 “I’ve always been able to see the value of getting precise, predictable gear changes even when under stress on a mountain or sprinting out of a corner,” said Chris Boardman, former pro rider and Boardman Bikes R&D director. “Having used electronic gears for eight years as a pro-rider, I have always appreciated the benefit – so much so, I have always wanted to incorporate the principle into the range. Both the Air 9.0S and SLR 9.0S come equipped with Shimano Ultegra Di2 electric groupset, Mavic Aksium wheels, Shimano 105 brakes, FSA Energy chainset and retail for £2,699.99. The Air 9.2S and SLR 9.2S models also have Ultegra Di2 but have an uprated component spec, including Mavic Ksyrium Elite wheels, Ultegra brakes and FSA SLK Carbon chainset. The price for each of these models is £3,499.99. 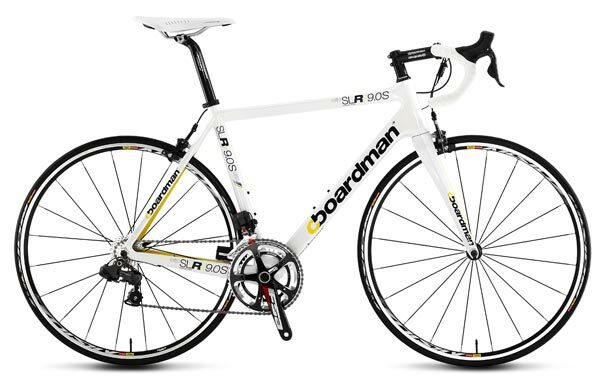 Boardman are claiming a weight of 900 grams for the SLR frame, with the full SLR 9.2S build weighing in at a claimed 15.8lbs (7.16kg) minus pedals. 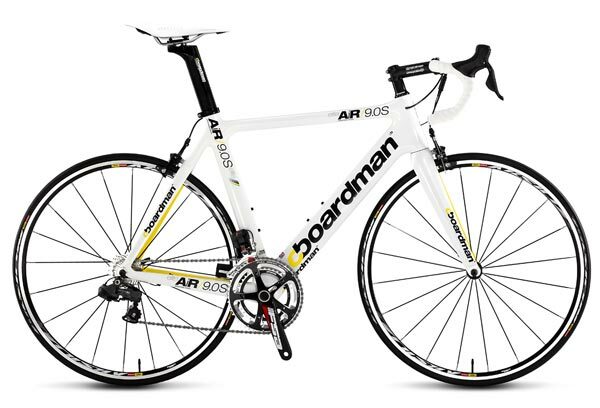 The bikes will be available through Boardman’s Elite dealers and will be ready for delivery by mid-October.